"Radar J" asks "...my Mom's ... been wondering what happened with Universalist churches in the South during the Civil War." "I haven't found anything on-line yet that gives me even a clue what to tell her. Can you point me to any resources, or even tell us what you know? Did they go underground, or close up shop for the duration, or just keep meeting as usual in spite of the pro-slavery opinions of their immediate neighbors and the war going on around them?" Ok, an honest question deserves an honest answer. On the Unitarian side, as far as I can tell the three churches in the South with Unitarian doctrine (the AUA was for individuals and not churches up to around 1870), had weekly Sunday services. Most of the Universalist Churches didnt meet weekly (not unusual for rural churches)- but the lack of ministers during the war and reconstruction (and lack of money to pay ministers with) did lead to a disruption of services. Massive amounts of missionary work by locals Clayton, Burrus, Strain, and Bowers after the war led to resumption of churches and services. Some of these churches continued during the war with occasional services, most did not. It would be nice to end here. But honesty insists I don't. The Unitarian and Universalist Churches in the south were not as a group anti-slavery, pre-war. There were a few individuals and ministers who were pro-union (and possibly anti-slavery), but most of the other members reflected their local community on that issue, however their local community felt. It's been said that Unitarians and Universalists were the two denominations that didnt split over the question of slavery, pre-war. 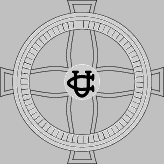 With Unitarians not being a denomination or even association of churches prior to the 1870s, it was kind of hard for them to split. I don't know the thinking of the church in Louisville Kentucky or New Orleans, Louisiana; but the Unitarian church in Charleston, SC was pro-slavery. The Universalist Church did not split, although Henry Summer of Newberry, South Carolina, (see a previous article) is supposed to have highly pushed for it, wanting an independent southern Universalist Church - to be headquarted in Plains, Georgia. But then South Carolina was full of fire-eaters. Indeed, the one believed Universalist governor of SC led a raid on a federal post office to destroy abolitionist pamphlets (this around 1840s). It was of course, illegal to own abolitionist writings in SC and illegal to advocate anti-slavery views. The Quakers and German Baptist Brethren (Church of Brethren) left SC in the early 1800s, both being strongly anti-slavery. But as noted, SC was a fireeater state, what of the others? The majority of southern Universalist congregations seem to be in non-plantation areas. Which makes sense, putting aside the issue of slavery, plantation owners didnt think much of anyone outside their social class status. Universalists in the south were more inclined to be middle class. While some of the churches are in areas that were more contempeous of the war (there was a reason SC and the south started drafting conscripts for their "Rich Man's War and a Poor Man's Fight"); I dont see any known Universalists in the rebels against the rebels. It would be difficult at this date to determine the views on slavery of those Universalists in the south. What little information we have seems to put them in the same category as their neighbors in their own individual communities. The national convention did condemn slavery. A Southern convention did start a few years prewar, but stated they were not independent of the national convention. We don't know if the lack of independence was because they agreed with anti-slavery in the abstract or some other reason. Again it should be noted that (almost?) all of the other denomination did split. Henry Summer survived his hanging by northern soldiers, circa 1865, an event intended to extort money from him. This did not improve his feelings toward the North. Did he leave the Universalist Church to go with those who were more anti-north? We also know that A.C. Bowers of East Tennessee served in the Union army, and that Rev S. M. Simons of South Carolina was pro-Union. Obviously more research needs to be done. Peggy Rawheiser (Author of Universalism in North Carolina) tells me that "In Hope Bain's diary in my book, he recounts his travels to different speaking engagements during the Civil War including being chaplain to Sherman's troops when they were camped near Goldsboro." while the Universalist Convocation is not a history meet, there is some history discussed - which this year includes a tour of Albion and the Pullman Memorial Universalist Church, and it meets at the historic 1st Universalist Society of Rochester. I will be there.